Honor 4X is a relatively thin, good looking phablet that offers the necessary performance and workspace. Undoubtedly, one of its strongest features is the rich user interface, which makes is more than just a phone with a big screen. It is always nice when the long list of functionality options goes hand-in-hand with long battery life. It did great in all of our tests (for example, it can provide more than 25 hours of talk time). We were impressed with the display too, which besides bigger workspace offers high brightness and contrast, good sRGB coverage and of course, it doesn’t flicker so you won’t feel eye-fatigue even after continuous usage. The camera also showed good results on our tests, considering the price range of the device, and it offers many manual settings. It’s hard to find any serious faults with the Honor 4X that can’t be immediately neutralised by adding “but it costs less than £150”. As someone who has only really used flagship handsets in recent years, I found it a breath of fresh air, and a strong reminder that the gap between top-of-the-range and mid-range is rapidly shrinking. Honor has once again delivered a very capable smartphone that embodies the company's value for money ethos. The breakaway brand's rapid rise to prominence is exciting for consumers and a major headache for other manufacturers. Motorola maybe the king of budget smartphones for the time being but with the 4X, Honor is clearly signalling that it's ready to go toe-to-toe with the Lenovo-owned brand in the affordable segment of the market. The combination of a beefy 3000mAh and a Snapdragon 410 processor means that the Honor 4X can easily last a day of heavy usage. In my testing, I was constantly able to squeeze out more than 5 hours of screen on time from the handset over a period of 24 hours. In fact, the battery life of the Honor 4X was so good that I never got the chance to fiddle around with any of the power saving modes included by Huawei in its Emotion UI. The first is about the Honor 4x – a device which only costs £149.99 SIM-free but has a octa-core (albeit 1.2GHz) CPU. This feels structurally sound and you can stick two SIM cards in. I’ll be having a full review online soon enough, but so far I’ve been impressed by the very decent battery life and the screen works well in direct sunlight. The Honor 4X is well built phone with plenty of features. However, looking at the cut-throat competition in this price-range, the Honor 4X is not worth your time. For Rs 10,499, it is no way better than the YU Yureka and Xiaomi Note 4G that cost around Rs 9000. 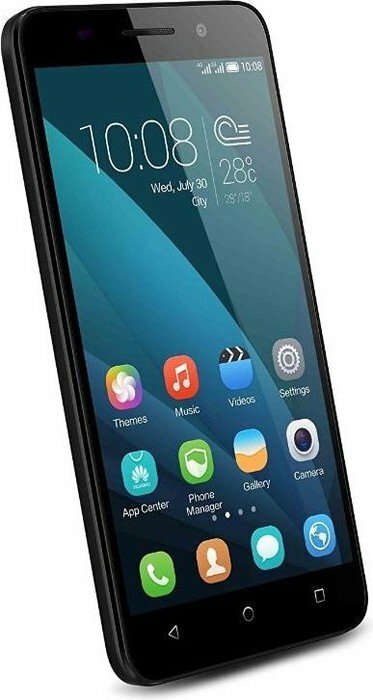 Huawei Honor 4X is the latest entrant in the budget 4G phablet segment. Now while the phone is a decent performer, the Xiaomi Redmi Note 4G and Yu Yureka at Rs 9,999 and Rs 8,999 respectively, offer a better value for money than the Honor 4X’s Rs 10,499 asking price. The Honor 4X has a mildly underperforming system on chip for its price, which may not be liked by all. While in the regular use case there aren’t any major issues with the phone, its gaming performance and camera image quality leave a lot to be desired. With the Redmi Note 4G and Yu Yureka being better in both departments, it is hard to recommend the Honor 4X. The only silver lining on the Honor 4X is its battery life and probably the only edge it has over its competition. Der Test hat gezeigt, dass es das Honor 4x ohne Probleme mit anderen Einsteiger- und Mittelklasse-Phablets wie dem Ascend G7 aufnehmen kann. Besonders überzeugen konnte die sehr lange Akkulaufzeit. Kleinere Abstriche müssen, wie bei so vielen großen Smartphones, beim Display gemacht werden. After spending time with the Honor 4X we think that Huawei's idea of keeping it simple works. It has decent performance coupled with good battery life. Unfortunately, at Rs. 10,499, the Honor 4X is a bit more expensive than Yu Yureka and the Redmi Note 4G, both of which are better choices. The Yu Yureka has better benchmark scores and might be the best option among the three devices, but you will have to battle through weekly flash sales to be able to buy any of the three. Model: The Honor 4X is Huawei's budget answer to the flagship Huawei Honor 6 Plus. The rear side is made from black textured plastic. Its 5.5 inch display has a resolution of 1280 x 720 pixels and gives a reasonably good visibility in all light intensities. The screen does not have a special layer so users would have to purchase their own screen protectors. The phone functions on a Qualcomm Snapdragon 410 SoC with a Cortex A53 quad core processor clocked at 1.2 GHZ. Other hardware includes an Adreno 306 GPU, 2 GB of RAM and 8 GB internal storage. The storage capacity can be expanded by up to 32 GB with a microSD card. The OS is an Android 4.4.4 KitKat system with an Emotion UI 3.0 interface. There are two cameras provided, a rear 13 MP camera and a 2 MP front camera. The phone performance is pretty much on par with other phones in its price range. There is no lag and the UI responds to taps and swishes efficiently and smoothly. The phone is equipped with a 3000 mAh battery, which can last about 11 hours with normal usage. Overall, this phone performs decently in view of its budget price and the rear camera seems to have the highest pixels for phones in the budget category. 76.6%: This rating is not convincing. The laptop is evaluated below average, this is not really a recommendation for purchase.